•Premium packaging for precise application. Giordani Gold Adaptive Luminous Concealer is a luxuriously creamy light-weight formula that does not dry out the skin and leaves the skin feeling moisturized. It conceals imperfections, e.g. dark under-eye circles, blemishes and veins, by providing buildable coverage that results in a natural-looking finish. 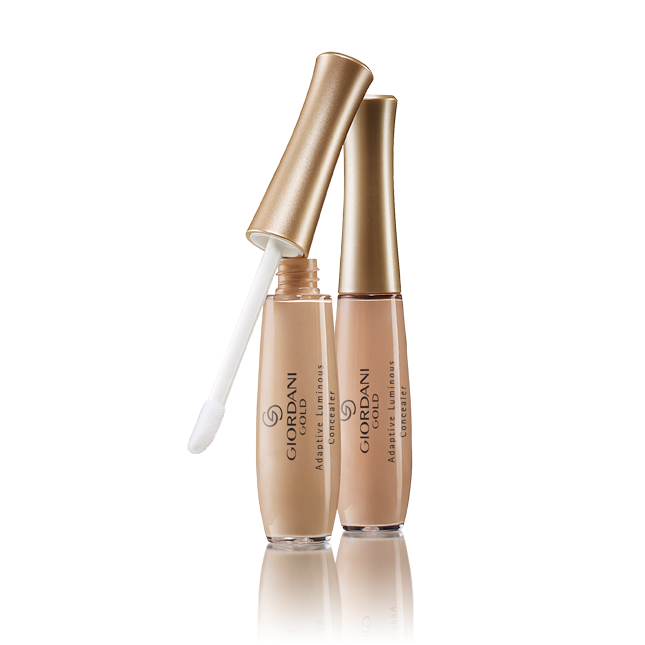 As the formula contains light-reflecting pigments, it reflects light to closely match the natural skin tone of every women. For a flawless, natural result, apply small dots of concealer under the eyes. Gently dab into the skin using your finger or the wand.